Ever since I first heard this song on the Billboard Music awards, I have been in love with it. I just can’t stop listening to it. And this live performance video is my current way to listen to it. If you have not yet heard this song (have you been under a rock?!? ), then I beg you to listen to it on the video below. You will thank me later. Description: Lukas Graham – 7 Years (Live @ Vevo) – eine exklusive live Performance für Vevo. Not sure if you watch The Late Late Show with James Corden, but I absolutely love when he has the musical guests on. Now, normally I am more partial to the carpool karaoke bits of the show, but I really loved this Drop the Mic Showdown with Rebel Wilson. She seriously cracks me up. Check it out in the YouTube video below if you missed it the first time that it aired. Description: After James Corden and David Schwimmer exchange blows in a heated rap battle, Rebel Wilson shows up to end it all and drop the mic. Home turntables can be an excellent thing to own, especially if you have a passion for music. 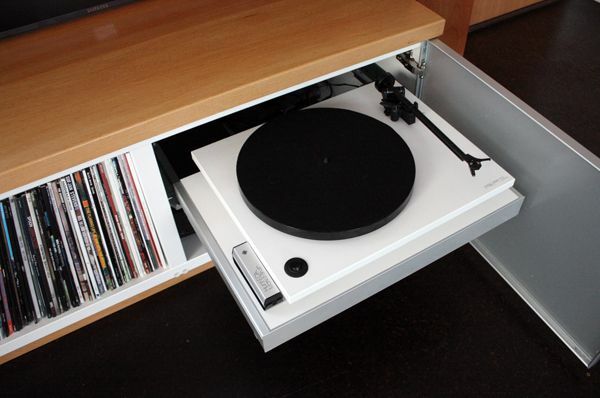 You’ll be able to get a lot of use out of a quality turntable. Because there are limited options in retail stores, a lot of people opt to buy turntables online. When you shop on the internet, you can find all kinds of excellent deals. If you’re looking to pick up home turntables online, make sure you take all of these things into consideration. You definitely don’t want to buy a product without learning more about what people think about it. Take the time to read through reviews like those at Audio Weekender so that you can see what actual users think about the product you’re considering so that you can find the good turntables to buy. When you read lots of reviews, you’ll be able to get a clear impression of how a turntable runs. You’ll be able to see what kinds of issues it has, but you’ll also be able to see its strengths. The more you know about a product before you purchase, the likelier it is that you’ll be happy with it. Read through lots of reviews and learn as much as you can. Prices for turntables can vary wildly. Because of this, it’s a smart idea to set a clear budget in advance. Figure out what you’re willing to pay, and make sure that you don’t go over that. There are a lot of excellent deals online, even for more expensive products like turntables. If you have a clear budget in place, you’ll be able to take advantage of these deals and find a price point you’re comfortable with. Turntables can be quite heavy, and they’re also fairly fragile. Because of this, they can be difficult to ship safely. Make sure you check the shipping costs before you decide to purchase turntables. You don’t want to be surprised by the total cost when you go to checkout. While some sites offer free shipping on more expensive purchases, others will charge you quite a bit. If you keep all of these things in mind, you should be able to buy home turntables online without a problem. You’ll be able to get a product that you’ll enjoy using, and you’ll be able to get it for a very affordable price. Before long, you’ll be enjoying your new turntables. Following up on my article on learning to play the guitar, I went looking on YouTube for some good lessons that are available for beginners. If you want to learn to play guitar, then I suggest that you check out some of the options on YouTube because there are tons of tutorials out there for people just like you. Here is one of the good lessons that I found for you to check out. Learning how to play the guitar is not as difficult as many people think. In the beginning it is more about getting your fingers to learn new things that they have never done before, plus toughening them upon the ends so that they can stand the pressure of the metal strings. Your fingers will develop calluses so that eventually you will notice any difficulty as you play the chords. Once you have learned some basic chords and your fingers are in shape, you are on your way to a very popular and enjoyable pastime. You can pick up a guitar for a fair price of between $100 and $200 for starters, and a guitar chord book so that you can learn the finger positions for chords. Since most people are right-handed, you will finger the chords on the guitar keyboard with your left hand while you strum the chords with your right hand, holding a plastic guitar pick between your thumb and forefinger. All songs have a chord pattern as the song plays, and that is why you will learn chords in the beginning. For example, many songs have the chord pattern of C, Am, F and G chords. When you learn these four chords, you will be amazed at the number of songs that have these 4 chords. When you listen to a song, you will see when to change the chords as your hear the song. As a person learns how songs sound in relation to the chord patterns, he or she will get the “hang of it” as far as rhythms and where the chords fit in. There are many songbooks that will give the required chords noted at the top of the words so that the guitar player will know when to change. In this way they can hear the song and play the chords, changing the chord at the appropriate time. It will not be long until songs that the person hears will bring up in his or her mind what chords are fitting to that song. Eventually, other chord patterns are learned such as G, Em, Am and D; F, Dm, B Flat, C7 and others as they fit the songs. It will not be long until the player will be able to hear a song, and immediately be able to fit the chords to the song, and then he or she is on their way to a lifetime adventure of satisfaction and enjoyable times of guitar playing. When it comes to music, there are few genres that are as fun to listen to as pop. Pop music is upbeat, easy to dance to, and tends to have fairly lighthearted lyrics. However, even though a lot of pop music is played on the radio, you tend to hear the same songs over and over again. It can be a challenge to track down new and exciting pop music. If you’re sick of the current pop tunes, keep reading. You’ll figure out how to find the best pop music out there. Pop music is huge all over the world. People from all kinds of countries are producing new pop records. As an example, Japan and Korea both have thriving pop music scenes. Pop music is huge throughout Europe as well. Listening to international artists can help you find tunes that feel fresh and new. If you broaden your horizons, you should be able to discover some truly amazing songs. There are a number of apps, including Spotify and Pandora, that will allow you to create your own custom radio stations. These stations won’t just play a playlist; they’ll suggest new songs to you. Create a radio station built around your favorite pop hits. From there, see what kind of music the station plays for you. You might not like every song, but you should wind up hearing a lot of amazing tunes. There are all kinds of internet communities that are built around pop music. While a lot of them discuss the biggest artists, many sites talk about up and coming artists as well. If members of the community have the same kind of musical taste you do, they should be able to suggest some very appealing new songs. Some of the artists they will recommend to you may be people you have never heard of before. Reach out to other people and see what they’re listening to. Who knows? They might be able to help you find your new favorite artist. If you want to find the best pop music, you need to be willing to get out there and look for it. Don’t just rely on the radio; seek out new and exciting music that you’ll love to listen to. Before long, you’ll have mp3s from all kinds of new artists.